Save money at five of Chicago’s most popular destinations! Chicago CityPASS is a booklet of admission tickets to 5 must-see tourist attractions in Chicago. You’ll save 53% compared to regular box office prices. You’ll also save time with easy access at most attractions, no waiting in lines! Once you have your CityPASS booklet, skip the line and head straight for the entrance. Visit the attractions in any order you choose. Booklets are good for nine consecutive days. Purchase at any Chicago attraction or at http://www.citypass.com/chicago. Passes good for Shedd Aquarium, Skydeck at Willis Tower, The Field Museum, your choice of either Museum of Science & Industry or 360 Chicago, and your choice of wither the Adler Planetarium or Art Institute. 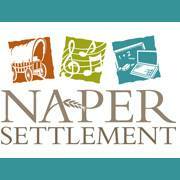 Naper Settlement is a 12 acre family friendly outdoor living history museum based on a 19th-century village of homes, shops and public buildings. It includes exhibits collections of historical facts and furnishings with costumed villagers working, playing, and tell the story of daily life in Naperville from 1831 to 1900 as it changed from a frontier outpost to a bustling turn-of-the-century community. The grounds also include events and festivals throughout the year including art festivals, the Civil War reenactment, wine and beer festivals, and in November and December, the Christkindlmarket. The Grainger Sky Theatre is fabulous, and exhibits include the kid-friendly “Planet Explorers” and much more! Check out the Adler’s 3-D movies as well. Celebrating American writers, their works, and influence on the history of the United States with innovative and dynamic state-of-the-art exhibitions, events, and compelling programming. There’s always something going on here, whether it’s a new exhibition or a fun event. Note that the museum offers Target Free Thursday Evenings with free general admission from 5-8 p.m. every Thursday evening. Admission costs are: adults cost $23, Chicago residents with proof pay $18 and students/seniors pay $17. Kids under 14 are free; special exhibitions are now free with the price of admission. Also, check the museum schedule for daily gallery talks on popular artists and exhibits. Tours, social get-togethers, family events, workshops, classes, performances and other related events are also available. With visually commanding displays employing thousands of artifacts, photos and video clips, Wheaton’s Billy Graham Center Museum takes you through history to the heart of evangelism in American today, and into the private and public life of its best-known spokesman, Billy Graham. Cantigny Park is home to the First Division Museum (voted Best Museum in the Daily Herald 2013 Readers’ Choice Awards), the Robert R. McCormick Museum and more than 30 acres of formal gardens, picnic grounds and nature trails. Explore the wonders of the universe and the latest discoveries in astronomy, space exploration, and earth science at the Cernan Earth and Space Center, a unique space-age facility that combines education and entertainment for people of all ages. This museum houses the world’s largest collection of M.I. Hummels figurines and includes ANRI woodcarvings. This institution is dedicated to preserving the history of DuPage county, and features information about details of daily life as well as major events. This very important museum focuses on the life, culture and history of black Americans. Year-round, the museum features many activities for kids and adults, including lectures, performances and more. Admission is free on Sundays. The first twenty years of Ernest Hemingway’s life are the subject of the Museum’s exhibitions and videos. Permanent exhibitions highlight four main themes: Hemingway’s family life, the important role the outdoors played in his development, his education in the Oak Park public schools, and his pivotal experiences in World War I. 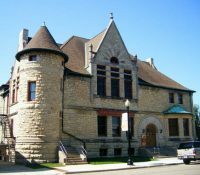 This is a private, non-profit educational and cultural institution established in 1898 to preserve and share Evanston history. EHS collects, preserves and tells the story of Evanston’s past through the Charles Gates Dawes House, interactive and engaging museum exhibits, research room and collections, educational programs and book publishing. The Field is a fantastic place for families to learn about dinosaurs, ancient cultures, bugs and all sorts of fascinating bits of natural history. Believed to be one of the oldest remaining homesteads in DuPage County, this five-acre site was first established in 1838. Set in a forest preserve with prairie, wetland and woodland elements, it’s a good place to enjoy nature and history. The museum operates a variety of antique trolleys, many from long-vanished tracks that once connected Carpentersville, Elgin, Aurora and Yorkville. The home and studio of America’s most renowned architect is open daily for guided interior tours. As Wright’s personal design laboratory for the first twenty years of his career as well as the place where he raised his family, this National Historic Landmark features some of the most spectacular spaces in American architecture.